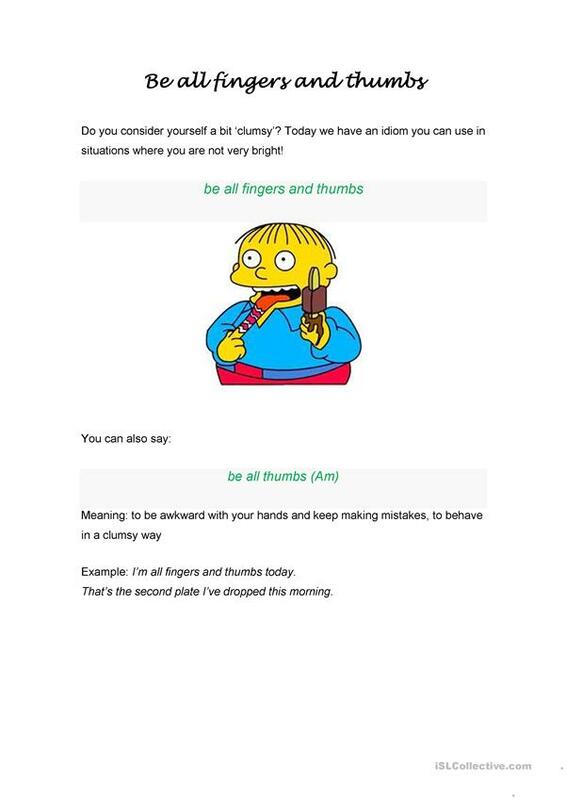 When can you use "to be all fingers and thumbs"? Here you have an explanation and examples. This downloadable worksheet was created for business/professional students, high school students and adults at Upper-intermediate (B2), Advanced (C1) and Proficient (C2) level. It is focused on the topic and words of Idioms.